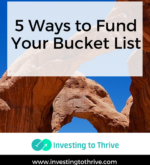 Thriving is living well at all phases of your investing life, whether you’ve just begun investing or you’re managing a large investment portfolio. 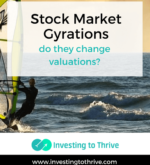 Behavioral finance articles explore how making smart investment decisions and maintaining your peace of mind live happily together. Additional aspects of living well include fitness, relationships, and giving. The Thriving category offers insights and practical guidance for enjoying your life. I just finished reading Millionaire Women Next Door by Thomas J. Stanley, Ph.D. and became intrigued with Stanley’s references to income statement and balance sheet affluence. 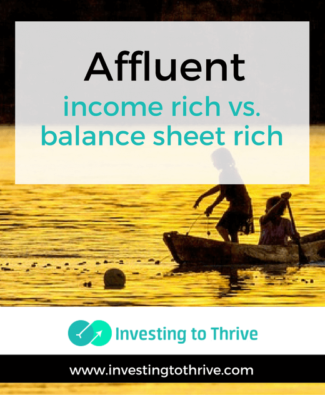 As a business major who has worked in financial analysis and accounting (and someone who is more balance sheet than income statement oriented! ), I bonded to these terms immediately. 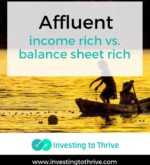 Learn more about these two types of affluence and why they can matter. 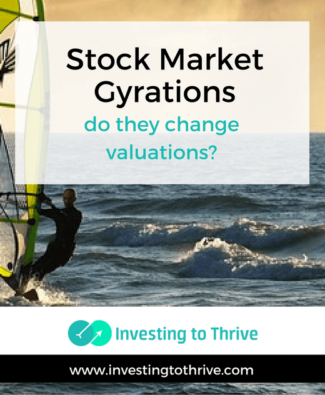 Stock Market Gyrations: Do They Change Valuations? 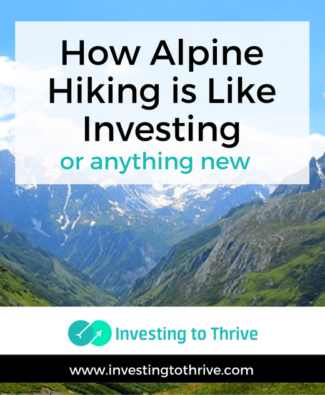 Investing (or anything new, like Alpine hiking for me) can be intimidating for newbies. 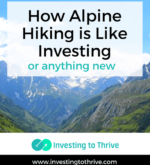 Reading about investing is important but nothing can help me learn like real-world experience. I’ve mentioned before that I haven’t been all that great at setting life goals and financial goals to match them when I was younger. 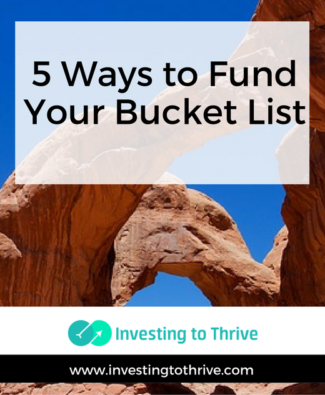 But now that I’m older, I’ve started to develop a bucket list. After making my bucket list, I’ve started tackling goals. 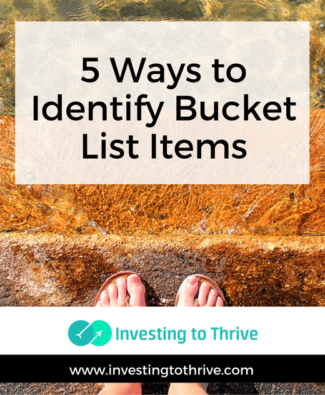 No matter the urgency, I’ve considered fulfilling at least one item each year in order to make my list a pleasure to complete, not a chore. 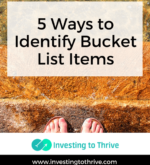 Some items may not require a lot of cash. Running a marathon, for example, will involve lots of time but minimal expenses — especially if I choose a race within driving distance. But others, like visiting the Arctic, will cost a lot more. Still, I figure if I start planning now, I’ll be much more likely to achieve my dreams. When contemplating saving and investing money (rather than spending immediately), typically, I’ll consider a specific purpose and timeline. If unsure exactly what my future life will look like, I can use these financial goals as a basic guide.